A variation on the gill net is the monofilament or multifilament trammel net. and floats on the top (float line). either in inland or marine waters. gilled, caught by the gills; and tangled, held by teeth, spines or other protrusions without necessarily penetrating the mesh. 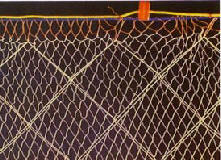 In addition, trammel nets also entangle fish in bags or pockets of netting. This occurs when fish swim through one of the outer panels, hit the inner panel, and are carried through to the other outer panel, which creates a bag or pocket, thereby trapping the fish. 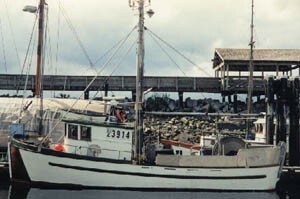 monitoring of these fisheries has been very limited. gill net, in terms of the size and species caught. Evidence suggests that an increasing number of cetaceans are malnourished due to depleted fish stocks. April - June 2001: when 43 cetaceans were post-mortemed in the UK, 10% were found to have died of starvation. The scale of cetacean bycatch in trammel net fisheries is not known. 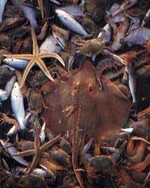 fisheries, as the levels of cetacean bycatch in these fisheries are known to be extremely high. There is no compulsory monitoring system of European fishing vessels, and therefore the true extent of cetacean bycatch in any fishery is not known. However, the available data suggest that the levels of cetacean bycatch in trammel net fisheries could equal, if not surpass, those which have been observed in gill net fisheries.